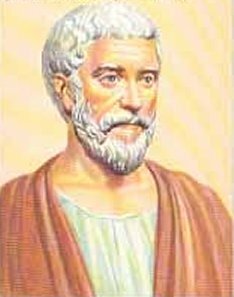 Pythagoras of Samos was an Ionian Greek philosopher, mathematician, and founder of the religious movement called Pythagoreanism. Most of the information about Pythagoras was written down centuries after he lived, so very little reliable information is known about him. Around 530 BC, he moved to Croton, in Magna Graecia, and there set up a religious sect. His followers pursued the religious rites and practices developed by Pythagoras, and studied his philosophical theories.